John A. Armstrong is a director of research at IBM and also a member of both the American Physical Society and the National Academy of Engineering. July 1, 1934Birth, Schenectady (N.Y.). 1956Obatined AB, Harvard University, Cambridge (Mass.). 1961Obtained MS and PhD in Applied Physics, Harvard University, Cambridge (Mass.). 1961 – 1963Research Fellow in Applied Physics, Harvard University, Cambridge (Mass.). 1963 – 1993Researcher, Laser Science Group (1963-1967); Manager, Laser Group, Zurich Laboratory (1967-1968); Manager, Quantum Optics and Theoretical Physics Groups, Thomas J. Watson Research Center (1968-1976); Director of Physical Sciences (1976-1980); Member, IBM Corporate Technical Committee (1980-1981); Manager, Materials and Technology Development, General Technology Division Laboratory (1981-1983); Vice President, Logic and Memory Research Division (1983-1986); Director of Research (1986-1989); and Vice President, Science and Technology (1989-1993), International Business Machines (IBM), Armonk (N.Y.). 1986 – 1997Member, Board of Trustees, Associated Universities, Inc.
1989Awarded George E. Pake Prize, American Physical Society. 1990 – 1996Member, Board of Overseers, Harvard University. 1993 – 1994Karl H. Compton Lecturer, Massachusetts Institute of Technology. 1994 – 1995Distinguished Visiting Professor of Electrical Engineering and Computer Science, University of Virginia. 1995 – 1998Adjunct Professor of Physics, University of Massachusetts, Amherst. 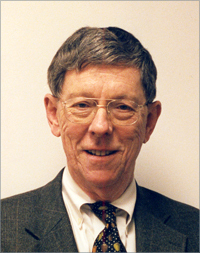 1998 – 2003Chair, Governing Board, American Institute of Physics. Obtained AB in 1956, MS and PhD (Applied Physics) in 1961 and Research Fellow in Applied Physics. Awarded 1989 George E. Pake Prize. Engines of innovation : U.S. industrial research at the end of an era / Richard S. Rosenbloom and William J. Spencer, editors.